My name is Abby Cessna. I am a freelance writer and student who has written for Universe Today since June of 2009. I am attending Drexel University this fall as a junior majoring in International Studies. What is the Haleakala Volcano? Hawaii is famous for its lovely mountains, tropical climate, and majestic oceanfront vistas. Another thing it is famous for is the string of volcanoes that dot its islands. As a land that sits atop a geographic hot spot – i.e. an area deep within the Earth’s mantle from which heat rises, forming magma that is then pushed to the surface – the island is also home to some serious volcanic activity. Like all shield volcanoes, Haleakala was formed from a series of highly fluid magma flows. This is the reason for its general appearance, as well as the designation – i.e. it resembles a broad shield lying on the ground. It’s tallest peak, which is named is Pu’u ‘Ula’ula (“Red Hill”) in native Hawaiian, measures 3,055 m (10,023 ft) tall. At Haleakala’s summit lies a massive depression (crater) that measures some 11.25 km (7 miles) in diameter and nearly 800 m (2,600 ft) deep. The name Haleakala means literally “House of the Sun”, which was given to the general mountain area by the early Hawaiian people. Haleakala is part of a sequence of lava flows that emerged near the end of East Maui. This region is believed to have begun experiencing lava flows about 2.0 million years ago, and it is estimated that the volcano formed from the ocean floor to its current shield-like shape over the course of the ensuing 600,000 years. The oldest exposed lava flow on East Maui is dated to 1.1 million years ago. In the past 30,000 years, the volcanism on East Maui has been focused along the southwest and east rift zones. These two volcanic axes together form one gently curving arc that passes from La Perouse Bay (southwest flank of East Maui) through Haleakala Crater to Hana on the east flank. The alignment of these axes continues east beneath the ocean as Haleakala Ridge, one of the longest rift zones along the Hawaiian Islands volcanic chain. The on-land segment of this lengthy volcanic line of vents is the zone of greatest hazard for future lava flows and cindery ash. Contrary to popular belief, the Haleakala “crater” is not volcanic in origin, nor can it accurately be called a caldera (which is formed when the summit of a volcano collapses to form a depression). Scientists believe instead that the depression was formed when the headwalls of two large erosional valleys merged at the summit of the volcano. Haleakala has produced numerous eruptions in the last 30,000 years, including in the last 500 years. The volcano has figured prominently in the island’s history of human occupation. In Hawaiian folklore, the crater at the summit was home to the grandmother of the demigod Maui. According to the legend, Maui’s grandmother helped him capture the sun and force it to slow its journey across the sky in order to lengthen the day. Until recently, the East Maui Volcano was thought to have last erupted around 1790, based largely on comparisons of maps made during the voyages of the explorers La Perouse and George Vancouver. Recent advanced dating tests, however, have shown that the last eruption was more likely to have taken place in the 17th century. Modern geologic mapping efforts began in 1997, which yielded the most detailed and accurate picture of Haleakala’s volcanic history to date. In addition, there are fears that the volcano is not extinct, but just currently dormant, and may erupt again within the next 500 years. For these reasons, the U.S. Geological Survey maintains a sparse seismic network on Haleakala volcano and conducts periodic surveys, using GPS receivers that gather data about the volcano’s surface deformation or lack thereof. In 1916, Haleakala National Park was created, a 30,183-acre (122.15 km2) park surrounding the summit depression, Kipahulu Valley on the southeast, and ‘Ohe‘o Gulch (and pools), extending to the shoreline in the Kipahulu area. Within the park, 19,270 acres (77.98 km2) is a wilderness area, which is why the park area was designated an International Biosphere Reserve in 1980. 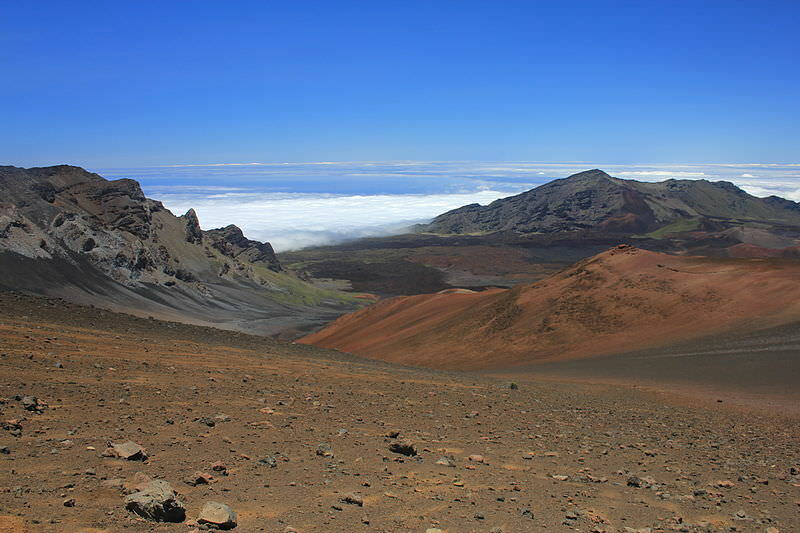 The main feature of this part of the park is the famous Haleakala Crater. Two main trails lead into the crater from the summit area – the Halemau’u and Sliding Sands trails. Haleakala is popular with tourists and locals alike, who often venture to its summit – or to the visitor center just below the summit – to view the sunrise. There is lodging in the crater in the form of a few simple cabins. 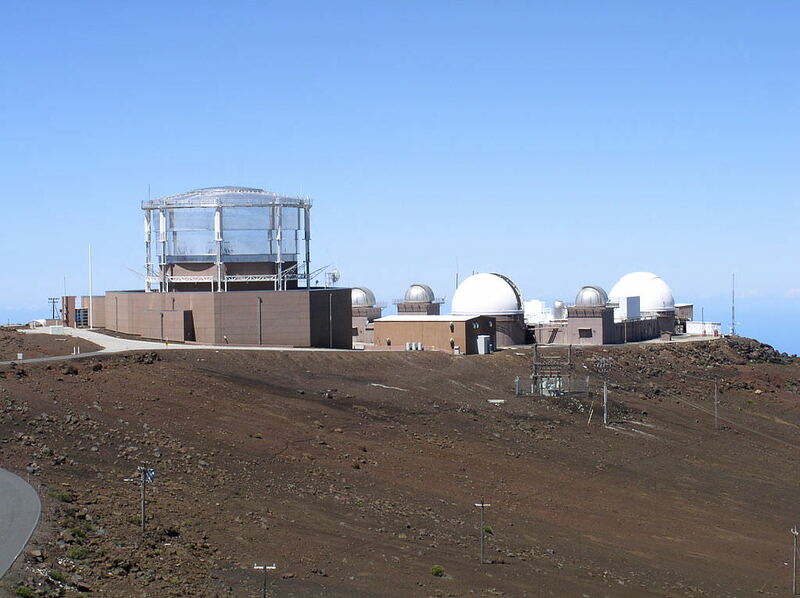 Because of the clarity and stillness of the air, the summit of Haleakala is one of the most valuable spots for observatories. It is also far enough away from the city lights to avoid light pollution, and above one-third of the planet’s atmosphere. Hence why the summit is the location of an astrophysical research facility – known as “Science City” – which is operated by a number of U.S. government and academic organizations. These include the U.S. Department of Defense, the University of Hawaii, the Smithsonian Institution, the US Air Force, the Federal Aviation Administration (FAA), and others. Some of the telescopes operated by the US Department of Defense are involved in researching man-made (e.g. spacecraft, monitoring satellites, rockets, and laser technology) rather than celestial objects. The scientific program is run in collaboration with defense contractors in the Maui Research and Technology Park in Kihei. 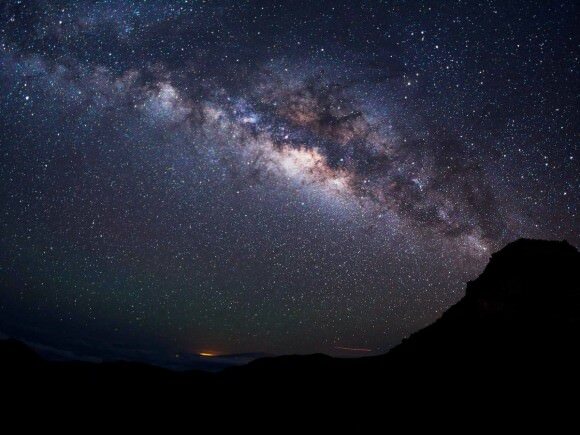 Despite concerns that Maui’s growing population will mean increased incidents of light pollution, new telescopes are being added – such as the Pan-STARRS in 2006. Although another 500 years or more may pass before Haleakala erupts again, it’s also possible that new eruptions will begin in the near future. However, according to the United States Geological Survey (USGS) Volcano Warning Scheme for the United States, the Volcanic-Alert Level as of June 2013 was “normal”. Given the likelihood of significant environmental and property damage, not to mention the potential loss of life, one can only hope this holds true for the foreseeable future. Universe Today has articles on types of volcanoes and what are volcanoes, and the Pacific Ring of Fire. For more information, check out Haleakala, a potentially hazardous volcano and Haleakala. The Space Shuttle, which has been used since 1982, is ready to be replaced. The fleet of Space Shuttles has completed over 130 missions and made numerous discoveries; however, the shuttles are nearing the end of their lifespan. They are scheduled to be decommissioned in 2010 or soon after. There are a number of replacements that have been proposed for the Space Shuttle in both the public and private sectors. Although NASA had plans to retire the Space Shuttle, for many years they proposed no definite alternative. In 2004 though, the government announced its proposal for the Space Shuttle’s replacement. The major design that NASA is working on is the Orion, which is being built by Lockheed Martin for the government. The creation of the Orion was partly influenced by the Space Shuttle Columbia disaster. Originally, NASA hoped to have Orion ready by 2013, but that date has already been pushed back a year. Congress has set 2015 as the time when the spacecraft should be ready for its first flight. The Orion is designed to hold between four and six crew members; the Space Shuttles held as many as seven. The Orion consists of the launch abort system, the crew module, the service module, and the spacecraft adapter. The Orion would be launched using the Ares rocket, which was named the 2009 invention of the year by Time magazine. NASA is also developing a larger version of the Ares to carry supplies. The Orion and Ares are both being developed under NASA’s Constellation program. The plan was that these spacecraft would be used to take astronauts back to the Moon and eventually to Mars. The first missions were going to be trips to resupply the International Space Station. Recently however, there have been proposals to cut the Constellation program due to its enormous cost. If the government does end up scrapping the Constellation program though, it will be left with no replacement for the Space Shuttle in the near future. This is a serious matter because the Space Shuttles are already considered beyond their lifespan by many. Advances are also being made in the private sector. In 2004, the first non-government spacecraft, SpaceShipOne, reached space and won the Ansari X Prize. The company, Scaled Compositions, also produced a SpaceShipTwo, which was unveiled to the public recently. The development of these spacecraft has fueled the belief that space tourism is in the near future. Universe Today has articles on first look at the Orion and Ares Orion. You should also check out the Constellation Program and NASA’s Space Shuttle replacement. Naiad is one of the 13 moons of Neptune. Neptune was not discovered until 1989 through studying photos taken by the Voyager 2 probe. Thus, the Voyager Science Team is credited with its discovery. It was the last moon discovered by the probe, which helped scientists find five moons altogether. The last five new moons were discovered in the first decade of the 21st century. The satellite was given its official name on September 16, 1991. At first the satellite was designated S/1989 N 6. Neptune’s moons are named after figures from mythology that have to do with the Roman god Neptune – or its Greek equivalent Poseidon – or the oceans. The irregular satellites of Neptune are named after the Nereids, which are the daughters of Nereus and Doris, who are Neptune’s attendants in Roman mythology. Naiad was named after a type of nymph in Greek mythology that presided over brooks, streams, wells, springs – all fresh water things. Naiad is the closest satellite to the planet Neptune. It orbits about 48,230kilometers from the top of the planet’s atmosphere. Naiad is a very small satellite with a diameter of only approximately 58 kilometers. That is about one-sixtieth the size of the Earth’s Moon. Naiad’s mass is so small that it is only 0.00001% of the Moon’s mass. It takes Naiad less than one day – seven hours and six minutes to be precise – to orbit Neptune because of its proximity to its planet. With a decaying orbit, the satellite may crash into Neptune or be ripped apart and become part of one of its planetary rings. This may happen soon. Naiad is an irregularly shaped satellite, which some have compared to a potato. In one of the pictures Voyager 2 took of it, the moon appears to be elongated because of smearing in the picture. Astronomers believe that the moon is made up of fragments from Neptune’s original satellites, some of which were destroyed when Neptune’s gravity captured Triton as a satellite. They do not think the moon has changed at all geologically since it was formed. After the Voyager 2 probe passed by Neptune, the planet and its satellites have been studied by many observatories as well as the Hubble Space Telescope and the Keck telescope. Although scientists have been trying to observe Naiad and some of the other smaller irregular moons, scientists still do not know very much about the satellite. This is especially true because Naiad and similar satellites are so small. Universe Today has articles on Neptune’s moons and moons of Neptune. You should also check out Neptune’s moon Naiad and Naiad. Astronomy Cast has an episode on Neptune you will want to see. People know Albert Einstein as one of the world’s best physicists and a recipient of the Nobel Prize for Physics, but you may not have heard his many quotes. Here are just some of the things the famous scientist said. Unsurprisingly, many of Einstein’s quotes are about thinking for yourself and being rational. He also made a number of observations on the nature of the atomic bomb and gave his opinion on both traditional warfare and nuclear war. If you are looking for more quotes from Albert Einstein, you should check out the top ten Einstein quotes and quotes by Albert Einstein. Universe Today has articles on Einstein’s Theory of Relativity and Einstein still seems to be right. For more information, take a look at Einstein’s biography and the Einstein archives. Astronomy Cast has an episode on Einstein’s Theory of General Relativity. There are numerous types of clouds, but they are generally classified differently. Some organizations classify them into two main groups while others organize them into three or four groups or even more. The National Weather Service divides clouds into three groups – low, medium, and high clouds. In meteorology, there are 27 types of clouds with nine in each of the three categories – low, medium, and high. The lowest level is between the surface and up to two kilometers in the atmosphere. Low level clouds include cumulus, stratocumulus, stratus, and cumulonimbus clouds. Cumulus clouds are one of the most well known types. They are the puffy clouds that look like sheep or clumps of cotton balls. They usually occur where warm air rises and forms condensation when it hits cool air. Stratocumulus clouds are also rounded clouds, but they are darker than cumulus clouds. Stratus clouds are flatter and more horizontal. They are the type of clouds that makes a day seem hazy and cloudy. The medium level is measured at different elevations depending on the region. This depends on a number of factors including elevation and weather. In the polar region, the middle clouds are between two and four kilometers high; in the temperate regions, these clouds are between two and seven kilometers. They are between two and eight kilometers high in the tropical regions. The mid level clouds are altocumulus, altostratus, and nimbostratus. Altocumulus clouds are somewhat patchy, round forms that are white or grey. The often come before a cold front and also predict thunderstorms. Because these clouds look darker they can seem intimidating. Altostratus clouds are part of the stratus family of clouds. They are like a sheet of clouds somewhere in between the nimbostratus and cirrostratus in color and often turn the whole sky grey. The nimbostratus clouds are very dark grey sheets of clouds. They look similar to other stratus types, but are much darker. High altitude clouds are also located at different heights depending on region. They can be found between three and 18 kilometers depending on the region. They are found at a much higher altitude in the tropical regions. The clouds at high altitudes are different cirrus clouds and include cirrus, cirrocumulus, and cirrostratus clouds. Cirrus clouds are the thin, wispy clouds found high in the atmosphere. Because of their thin appearance, they are sometimes called mare’s tail; these clouds form when ice vapor freezes high in the sky. Cirrocumulus clouds appear to be a sheet of tiny cumulus clouds, so they almost look as though they are ripples on a pond. Cirrostratus clouds are a mix between cirrus and stratus clouds. They are thin, but resemble a sheet like stratus clouds. Often, they appear to form a halo around the Sun because they are so thin. Universe Today has articles on stratus clouds and cloud types. For more information, check out cloud classifications and types of clouds. Astronomy Cast has an episode on Earth you will want to check out. 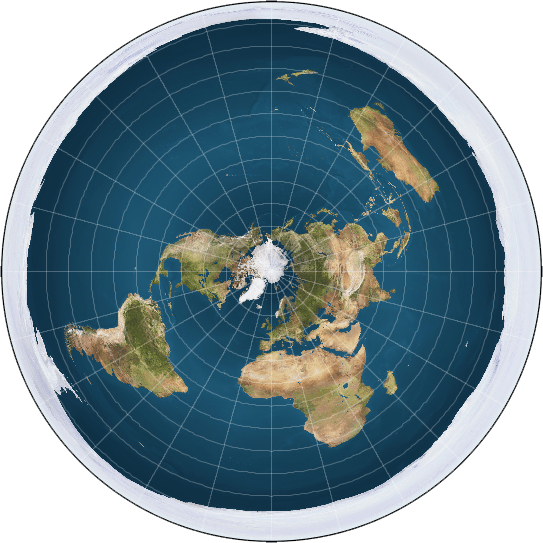 The Flat Earth Society is an organization whose members adhere to the belief that the Earth is flat rather than a sphere. Although it would seem that this organization was founded before the fourth century B.C., when Greek philosophers and scientists advanced the idea of a spherical planet, it was not. Instead, it was founded in 1956 by Samuel Shenton who was a Fellow of both the Royal Astronomical Society and the Royal Geographic Society. He believed that his theory was based on common sense and scientific evidence and did not believe that scientists had enough proof to ascribe to the view of a spherical Earth. When Shenton died in 1971, the organization was taken over by Charles Johnson and the society’s headquarters were moved from England to California. Johnson inherited much of Shenton’s large library containing flat earth literature when he took over the organization. Johnson claimed that there was a conspiracy against the theory of a flat earth. The new president of the organization also thought that the Sun and Moon were flat discs about 4,800 kilometers from Earth and that the stars were only approximately 6,400 kilometers from our planet. When Samuel Shenton was presented with the pictures taken by probes from space showing a spherical Earth, he wavered at first. He restated his position though and said that the photographs could easily fool the untrained eye and that they had been faked. The Flat Earth Society also declared that the 1969 Moon landing was a hoax and it had been scripted and filmed. The Flat Earth Society took some of its philosophy from the Bible, claiming that the creation text shows that the Earth was created flat. Johnson in particular quoted biblical passages in his newsletters. Johnson also turned to the United Nations’ flag for proof of a flat earth. The globe portrayed on the flag looked similar to the model of a flat earth as described by the Flat Earth Society. The Flat Earth Society began to decline in membership during the 1990’s, and it came to an end when Charles Johnson passed away in 2001. After the Flat Earth Society disbanded, several other groups seemed to have made use of its name at one time or another. There are number of flat earth forums and websites up and running. Even though at least one group has borrowed the Flat Earth Society’s name, it may not be directly connected to the old organization. Universe Today has articles on is the Earth round and who discovered the Earth. You should also check out the Flat Earth and do they really think the Earth is flat. There are many tall mountains around the world as well as on other worlds. Mount Everest is the highest mountain in the world at 8,848 meters. Mauna Kea is the tallest mountain in the world. The tallest mountain is measured from base to top while the highest mountain is measured from sea level to the top. Everest is located in the Himalayan mountain range in Nepal and near Tibet. Mauna Kea is located in Hawaii and is 10,200 meters from base to tip. From sea level though, it is only about 4,205 meters tall. Mauna Kea is an extinct shield volcano. These are not the only tall mountains though. K2 is in the Karakoram mountain range on the border of Pakistan and China. It is 8,612 meters tall and is generally considered the second tallest mountain in the world. The Himalayans are home to many tall mountains besides Mount Everest. This includes Mount Kangchenjunga at 8,586 meters and Mount Lhotse I at 8,501 meters. Most of the world’s tallest mountains are located in Asia; however, there are a number of tall mountains that are located on other continents. The seven tallest mountains in different continents are known as the Seven Summits. Climbing all seven mountains is a mountaineering challenge that was started in the 1980’s.The first of these is Mount Everest. Another summit is Aconcagua, which is a mountain in Argentina in South America. At approximately 6,962 meters, it is the tallest mountain in the Americas. North America’s tallest mountain is Mount McKinley at 6,194 meters. Mount Kilimanjaro can be found in Tanzania in the continent of Africa and is 5,895 meters tall. The large summit of Mount Kilimanjaro is covered with an ice cap that is receding and according to scientists will eventually be gone. Mount Elbrus, the tallest mountain in Europe at 5,642 meters, can be found in Russia. Vinson Massif is Antarctica’s tallest mountain at 4,897 meters. It is also very large being 21 kilometers long and 13 kilometers wide. Australia-Oceania’s largest mountain can be found in Indonesia. At 4,884 meters, it is Puncak Jaya, which is also known as the Carstensz Pyramid. The tallest mountain that we know of is not even on Earth. It is located on Mars and is known as Olympus Mon. A shield volcano, Olympus Mon is 27,000 meters tall. Mars is not the only other planet with tall mountains though. Venus’ Maxwell Montes is 11,000 meters tall. Satellites also have tall mountains including our Moon, which has Mons Huygens at 4,700 meters tall. The moon Io has a mountain, Boösaule Montes, which is approximately 17,000 meters tall. Universe Today has articles on tallest mountain and tallest mountain in the Solar System. For more information, you should take a look at what are the world’s tallest mountains and highest mountains. Astronomy Cast has an episode on Earth you will find interesting.